If you see signs of mold in your home you need to have a mold inspection performed. There are two goals of a mold inspection. The first is to find any mold growing in your home. The second is to find the moisture problem which caused the mold to grow. When it comes to mold problems in the home, the earlier you can detect them the better. 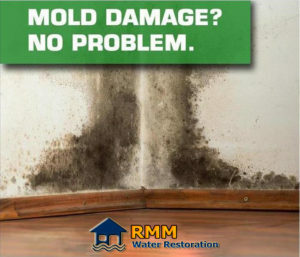 The longer mold is left the more it will grow and the harder it will be to remove. This is why it’s best to have a mold inspection performed at the first sign of mold in your home. If at all possible you should hire a professional mold inspector to inspect your home. Professional mold inspectors know the best places to look for mold. They can also immediately recognize subtle signs of mold growth and signs of water problems. RMM professional mold inspectors are not only experienced but they also use sophisticated equipment. This equipment is very effective at finding hidden mold with minimal impact to your home. Some of the tools and techniques professional mold inspector use are infra-red inspection, borescopes (fiber optics), moisture meters and hygrometers. RMM professional mold inspectors also have a developed sense of smell for mold or they use mold sniffer dogs to quickly sniff out hidden mold. By hiring us you can be sure that if there is any mold in your home it will be found & eliminated immediately. RMM Water Restoration professionals can be dispatched to your location in just minutes. We are a 24/7 Emergency Response Team to residential & commercial properties. Some of the service areas are Boca Raton, Fort Lauderdale, Coconut Creek, Delray Beach, Delray Beach, Deerfield Beach, Boyton Beach, Parkland.